The Regnas overlay technique seen here displaying a family crest Griffin over Lapis set to gold plated sterling silver with Memento Mori shoulders on this man's ring. 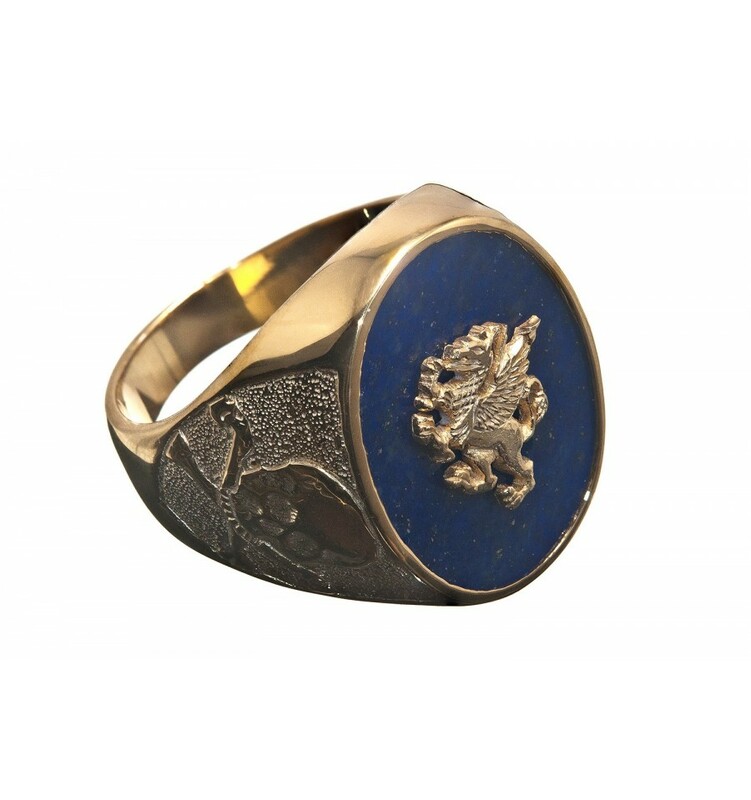 A solid gold plated sterling silver heraldic griffin is laid over genuine blue lapis lazuli to create this spectacular man's ring. The addition of a solid gold plated sterling silver chassis with Memento Mori, skull and crossbones shoulder embellishments add to the impressive nature of this fine piece of gentleman's jewelry. 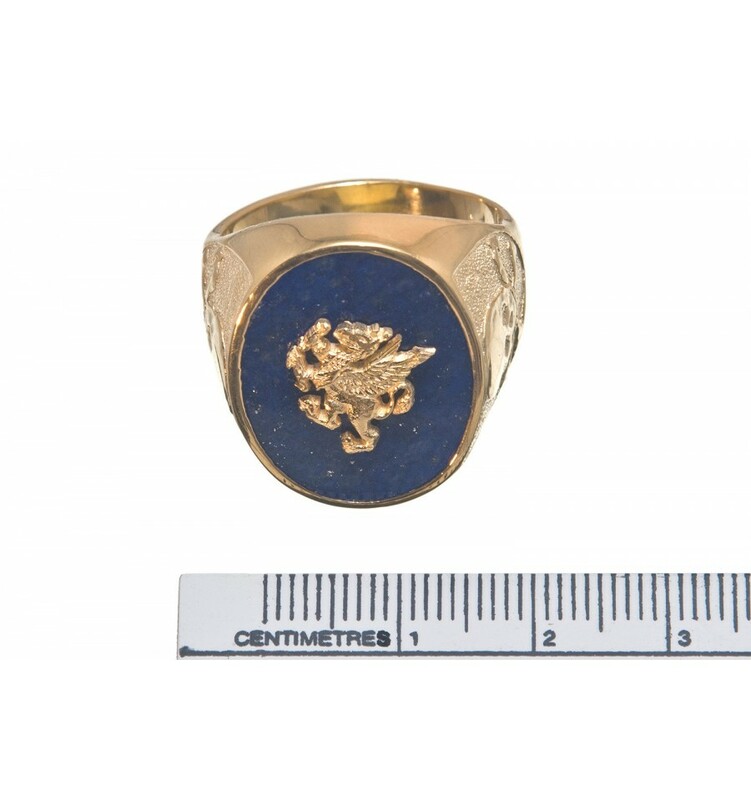 This is one of our medium sized heraldic rings. 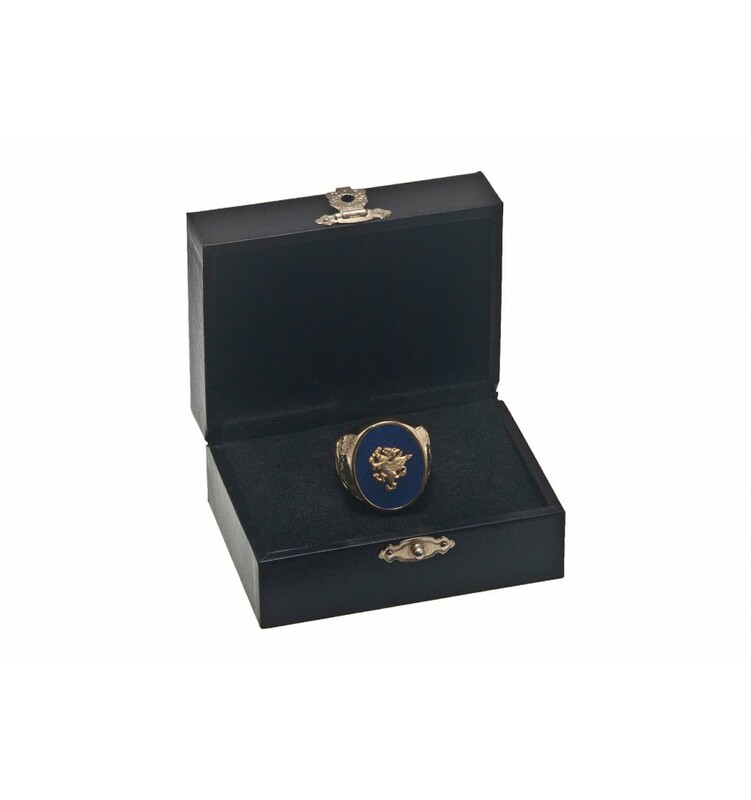 That's why our high quality, heraldic, Lapis Man's rings are so affordable.